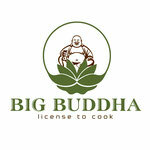 Culinary short journey - BIG BUDDHA Restaurant - Thailändische und vietnamesische Spezialitäten! The cuisine of Vietnam is regarded by many as one of the best kitchens in the world. It combines elements of Chinese, Indian and French cuisine. The influence of China on the Vietnamese cuisine can be seen above all by the use of the wok as well as by chopsticks. Also in Vietnam, as in China, all food is cut into mouth-sized pieces. Also some typical Chinese dishes can be found in the Vietnamese cuisine. From India, Buddhism came to Vietnam and, in the course of this, the preference of the Vietnamese for vegetarian dishes. The French, who for centuries were colonists in Vietnam, brought the foundations for many Vietnamese dishes to Vietnam. For example, the basis for the Vietnamese noodle soup Pho Bo is a classic consommé. In addition, the French introduced many French expressions into the Vietnamese language. For example, lemongrass, one of the most important Vietnamese spices, is called "Citronelle" in Vietnam. The country Vietnam forms a long tube that ends at both ends in a river delta and is separated in the middle by a mountain belt. These geographic conditions characterize the Vietnamese regional alcoves of North, Central and South Vietnam, but they differ primarily in the climate and the local products. Many dishes of Vietnamese cuisine consist of raw, that is, uncooked ingredients. The Vietnamese eat little meat. Seafood are eaten significantly more frequently. Especially crabs, which are abundant in Vietnam, play an important role on the Vietnamese diet. Noodles of all sizes, lengths and shapes are also indispensable. They are eaten for breakfast, lunch and dinner. Also curry dishes belong to the Vietnamese cuisine. These, however, are not particularly hot, in contrast to Indian or Thai curries. In addition, they are mostly thinner than their Indian and Thai relatives, as they are cooked with less coconut milk. Vietnamese curries get their taste mainly from coriander. Chili is only used sparingly. Another specialty, which is found throughout Vietnam, is the Vietnamese Spring Roll Cha Gio. It is, in contrast to the Chinese Spring Roll, not fried in fat, but prepared without fat. For flavoring, the Vietnamese cuisine mainly uses the strongly spicy fish sauce Nouc Mam. This is used in Vietnam instead of soy sauce, as is customary in China or Japan. This fish sauce marinates salads in the Vietnamese cuisine, which is not only made from fruits and vegetables but also raw meat.